One of my favorite street corners in downtown Raleigh is Martin St. and Salisbury St. The people watching is fantastic. You can watch the city wake up on a lazy Sun. while enjoying brunch at Capital Club 16. Capital Club 16 is located in the historically registered Capital Club Building and the restaurant&apos;s mission is to pay homage to the old and the new of the capital city. The atmosphere of Capital Club 16 is just delightful. My favorite seat in the house is next to the large window overlooking the street corner. The restaurant is classy with a laid back feel. I also appreciate how supportive Capital Club 16 is of their local farmers, producers and neighbors. 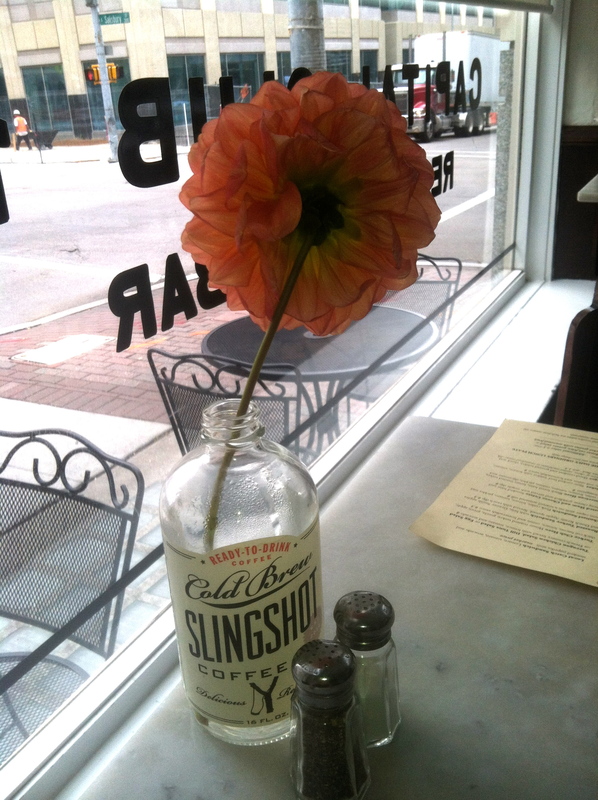 For instance, fresh cut flowers are found throughout the restaurant in a recycled Slingshot Coffee bottle, a local Raleigh business. Husband and wife, Jake and Shannon Wolf are the owners of Capital Club 16. They have worked hard to develop a menu to include seasonal and locally grown ingredients. You will also find special artisanal items on Capital Club 16&apos;s menu like Schaller and Weber Gold Medal Sausages and Meats, a sixth generation New York City Germantown butcher, N.C. seafood and regionally raised meats. Capital Club 16&apos;s menu is always changing to reflect the seasons and features specials for holidays and events. 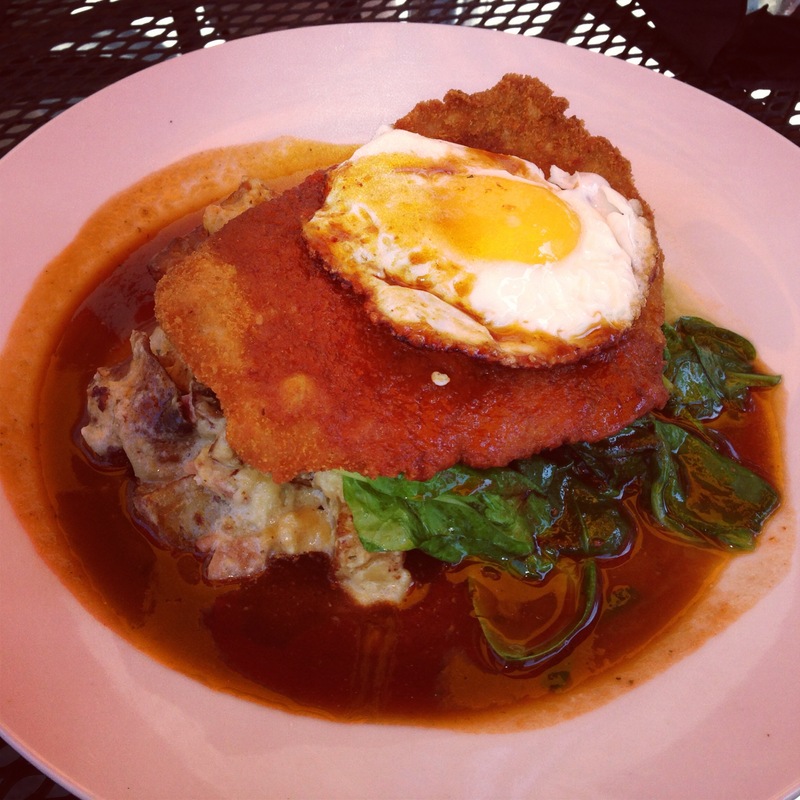 For instance, I had a delicious pork schnitzel topped with a fried egg during a Father&apos;s Day brunch. One of my personal favorites and staple menu item during Capital Club 16&apos;s brunch is the Eggs Norwegian. 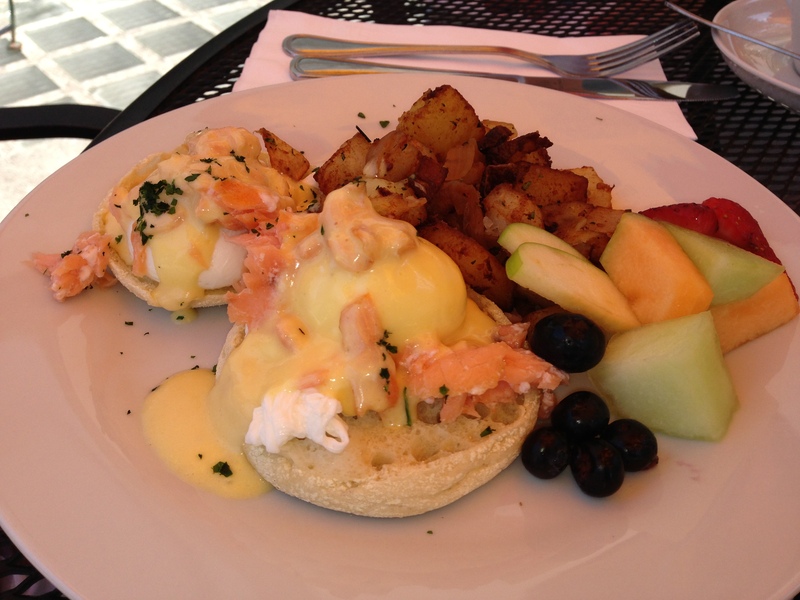 The dish features smoked salmon, poached eggs and hollandaise sauce over English muffins. The eggs are always cooked perfectly and the flavors blend nicely. A side of home fried potatoes and fruit is served with the dish. 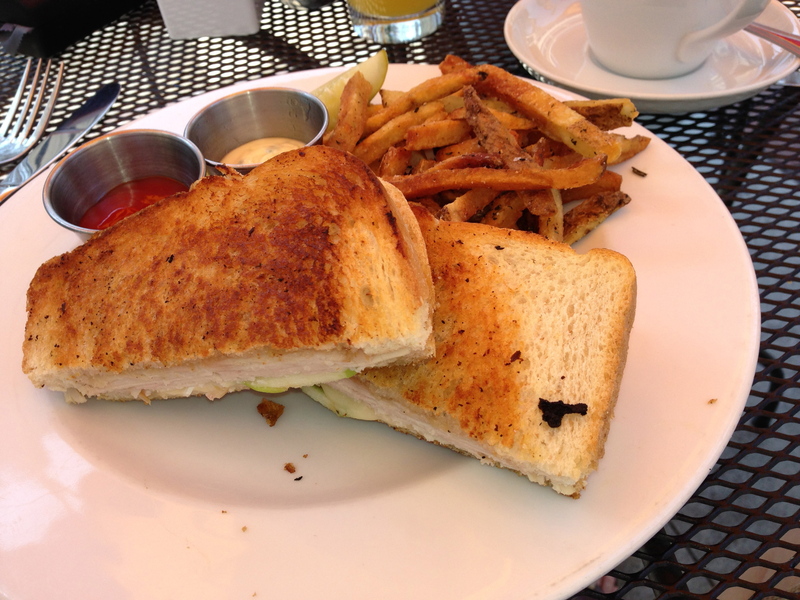 You can&apos;t go wrong when ordering the Roasted Turkey Sandwich at lunch or brunch. A hearty portion of roasted turkey is served with brie cheese, fresh apples and a Dutch kettle apple spread. Shanny fries and ranch dip add the perfect salty element to the dish. The sandwich is savory and sweet, a delicious and satisfying option. The dinner menu at Capital Club 16 is amazing with dishes like the skillet mac and cheese, rock shrimp scampi and the “Rahmschnitzel." Chef Jake Wolf is talented and mindful of his local community when developing new menu items. I highly suggest dining at Capital Club 16 for any meal. Chef Jake Wolf is also participating in Competition Dining&apos;s Fire in the Triangle. He will be battling Chef John Childers of Herons on July 8 in an "Iron Chef"-style competition. Purchase your tickets soon because they sell out fast!